(Text automatically translated) Very peaceful, Tastefully decorated. In a protected natural setting, 300m from the ocean. 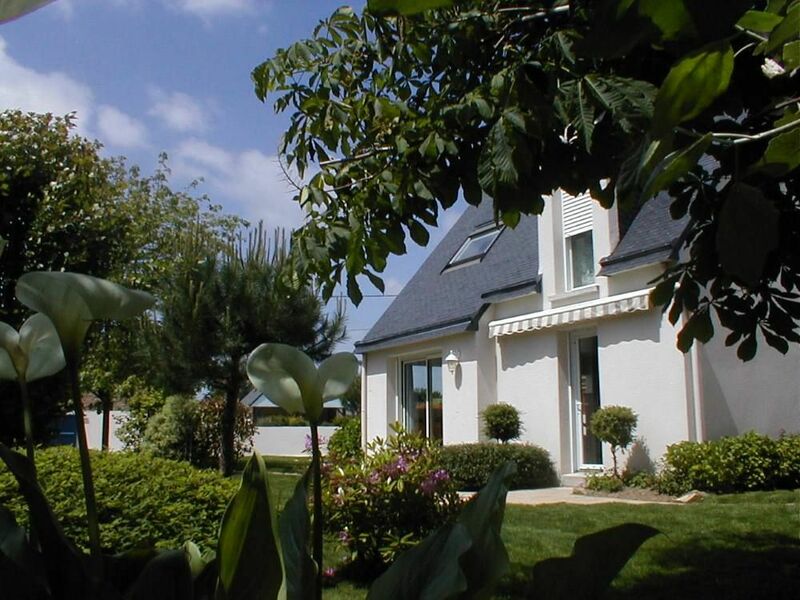 Experience the meeting between land and sea grove, ocean Gulf of Morbihan on the peninsula Rhuys. Lovely holiday in a lovely house in a beautiful area. We enjoyed a family holiday over 10 days in this excellent house. The local area has plenty of amenities - bar / tabac, excellent creperie, restaurants, etc and is within easy access for Sarzeau and Vannes. Lovely beaches within easy reach. The house is well kept and has a large enclosed garden, so it is safe for youngsters. We would recommend it to others. The description of the house matched exactly what we found, indeed the house was even better. The house was in a very good shape, including furniture, dishes, etc. For our needs, the beds were very soft. Upon arrival, the hosts gave us a number of useful advice about the stay and which places to visit, so we were prepared and could use our time effectively. The location of the house is pretty silent, with no disturbing traffic. A small grocery store and some restaurants are no more than 10 min walking away. To the coast we had to go only five minutes, even less. We enjoyed the stay very much, and we can recommend the house warmly. "The location of the property is wonderful! The house is set in a quiet location, is clean, well equiped and has a large garden. Good restaurants are situated nearby. The owners were freindly and helpful." "Nice house close to the sea, in a very quiet housing estate. The house was in perfect condition, very clean. The owners are very friendly and helpful. I recommend this house." "A beautiful house in a delightful area. We felt so relaxed that the children could play in the large garden in complete safety. Facilities in the house were excellent. The quiet surroundings made for a very pleasant stay. Nice walk to the beach and easy walk to local shops/services. Thank kyou for a fantastic holiday." "House and surround grounds in excellent condition. Very private house, no-one overlooks so nice to sit in garden. Shower is very powerful and hot! House well equiped. Handy to have washing machine. Kitchen has all utensils required. A larger TV with a DVD player and a CD/Radio would add to the facilities. Owner was very friendly, attentive, genuine and very approachable. Thanks again Gaetan!" (Text automatically translated) From this exceptional natural site enjoy the coastal paths of the Gulf of Morbihan and offshore islands that are Houat Hoedic and Belle. Restaurant: Le Mur du Roy (300m from the house, you can get there on foot by a small coastal path Excellent kitchen and bathroom or terrace facing the sea)..
supplément chauffage selon la saison, caution demandée, acompte/arrhes à la réservation, remise des clés par le propriétaire.Pendant les vacances d'été (juillet et août), le prix de la location est dû pour la semaine entière même si la période de réservation souhaitée est inférieure..